As intriguing to the artist as they are to the mathematician, Roloids are based on two-dimensional curves with incredible mathematical and aesthetic properties. These solids roll smoothly even though they are not spherical. 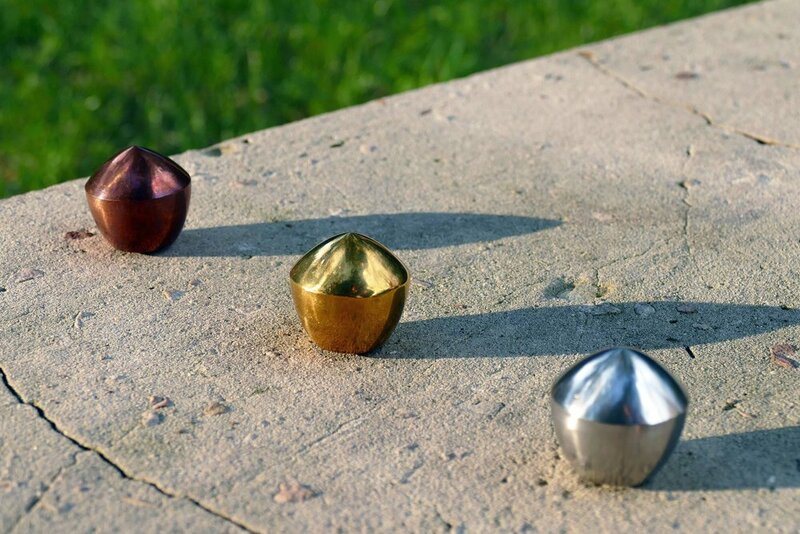 This incredible property is shared by only a handful of shapes, all of which must have a constant width in every direction. These sculptures roll with pleasantly unintuitive smoothness, inspiring mindfulness and creativity in people of all ages. Perfect for artists, scientists, teachers, learners, and anyone who appreciates wonder in simplicity.